The temporomandibular joint, or jaw joint, consists of two parts that work together: the mandibular and the temporal part. Similar to the spine, there is a joint disc (called articular disc), between the two parts of the joint, dividing the joint into an upper and a lower synovial cavity. Various muscles, fasciae, and ligaments provide stability as well as mobility. Through these structures the jaw joint is in direct contact with other skull bones and more distant structures. The lower jaw (mandible) is connected to the base of the skull via the temporal bones, and the upper jaw (maxilla) via the gums. Sensory and motor functions for the masticatory apparatus are provided by the 3 branches of the trigeminal nerve, which emerges from the brain and partly also the 2nd cervical vertebra. The articular capsules are supplied by the articular branches of the auriculotemporal nerve, the posterior deep temporal nerve, and the masseteric nerve. 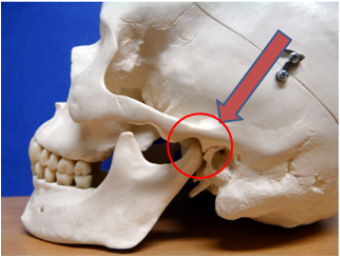 Cranial problems will impair occlusion (bite) via bony connections and, conversely, issues with occlusion, e.g. incorrectly fitting dentures, will adversely affect the skull. Cranial problems in turn negatively affect the static of the whole musculoskeletal system due to the restrictions on the CNS and cranial nerve. From the viewpoint of osteopathy this is a very significant aspect, because many patients do not consciously feel pain or a restriction of movement of their jaw joint, but rather in some distant part of the body. This, however, is connected to the masticatory apparatus and must therefore occasionally also be treated there. If the jaw joint and the maxilla don’t have unrestricted movement, it can result not only in a blockage of the cervical spine and pelvic misalignment with functional unequal leg length, but also in irritation or compression of various nerves. The trigeminal nerve (fifth cranial nerve) is often affected. The trigeminal nerve divides into three branches, whereby a dysfunction of the jaw joint will impair the third branch, the mandibular nerve. The mandibular nerve provides sensory function to the skin of the temple, the outer auditory canal, the ear drum, the front two-thirds of the tongue as well as the skin in the area of the chin, and the lower row of teeth. It provides the motor function for almost all muscles used for mastication and the act of speech as well as for hearing. This results in a wide range of possible medical complaints. Patients can suffer from sensory losses or parathesia, and also blockages at the upper cervical spine that lead to tension headaches. From an osteopathic viewpoint, craniomandibular dysfunctions can also be a factor in developing tinnitus. Inflammations in the jawbone, e.g. after root canal treatments or tooth extractions cause lateral displacements at the base of the skull due to impaired lymphatic drainage, and thus lead to occlusion problems via the bony connections. Sometimes the cause can also be found in badly ground-off crowns or dentures that don’t fit properly, which can result in massive blockades of the 2nd cervical vertebra. Organic dysfunction, e.g. through infections by way of fasciae tension, can have a negative effect on the cranial system and thus on the masticatory apparatus. Nerve inflammations through intoxications can also significantly disrupt occlusion because of the impaired control of the masticatory muscles. Our practical experience with osteopathy is that patients with jaw problems are often in bad general health. 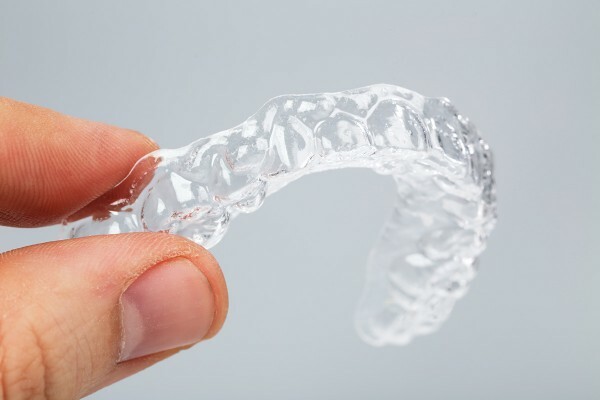 There is usually a wide range of complaints that the person concerned does not connect with the masticatory apparatus. There are often recurring blockages of the spine with muscle tenseness, pelvic misalignment, and functional leg-length difference. In conventional medicine, dysfunctions of the masticatory apparatus are normally discussed in terms of stress and the associated “incorrect” processing. It cannot be completely dismissed that jaw problems will go hand in hand with stress. However, the question arises whether stress is the cause or the result of this pathology. Some patients experience relief of muscular tension with dental splints prescribed by dentists. In principle, from the viewpoint of osteopathy however, such aids do not change the overall situation and can moreover disrupt the osteopathic therapy, because there is a possibility that the jaw is fixed in an unfavorable position. 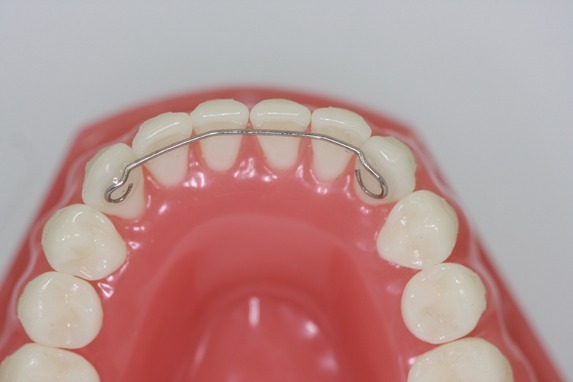 The same effect can be seen with braces that are used to fix the position of the teeth after orthodontic interventions. Whether it makes sense to use such aids during osteopathic treatment should be coordinated for each individual case and, if necessary, with the dentist treating the person or their orthodontist. Initially, the causes of difficulties with the masticatory apparatus are defined with the help of a comprehensive analysis of the overall organism. Often the disruptive influences are multifactorial. The osteopath will come to a diagnosis primarily through manual analysis of the movement restrictions, fasciae tension, and compensation patterns, and, if necessary, will also conduct neurological function analyses. Through gentle manual osteopathic techniques the tension in fasciae and muscles is dissolved so that the bony parts of the masticatory apparatus of the skull can then be guided to a correct positioning. If organic issues or dental problems are paramount, your osteopath will discuss further naturopathic or conventional interventions with you. If you have any further questions concerning osteopathic treatment of CMD, please contact us.